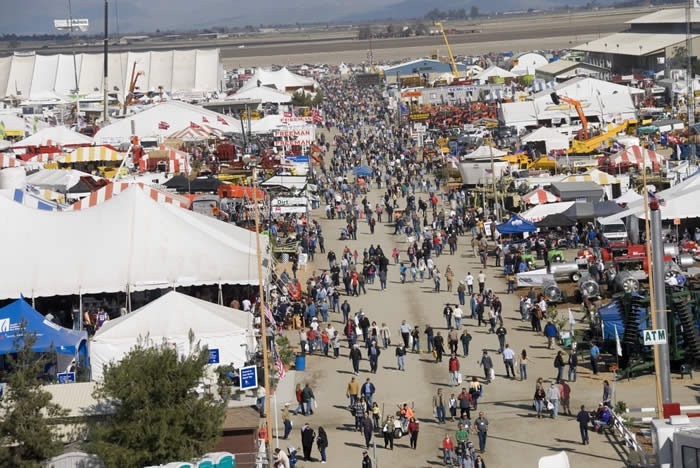 I attended the World Ag Expo this year in Tulare, California. For those of you who don’t know what I’m talking about, the World Ag Expo is the largest agricultural exposition in the world. Every year, anyone selling anything to farmers and dairymen exhibit their product lines and anything new they have developed for the New Year. People come from all over the world to attend the event. I seen an interesting statistic that said over 100,000 people attend each day. Our family attends every year. This is our chance to talk with vendors, and find new ideas that could help benefit our dairy operation. Its fun to see all the new technology that’s available been developed noting that technology has progressed pretty rapidly in the dairy industry. My dad is not one to be left behind of technological changes or even new ideas. He makes it mandatory for us to discover a few new things, and figure out if they would be useful on our operation. 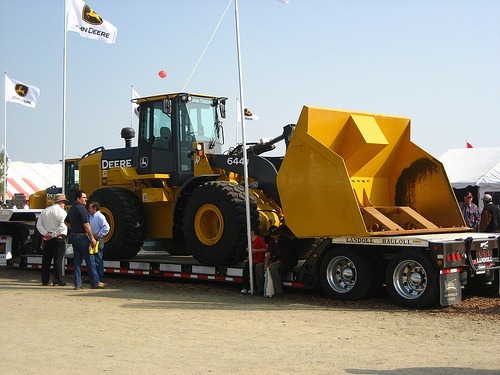 So what was the most exciting new thing I found at the World Ag Expo this year? One of the main challenges dairies around the world are facing today, is finding employees to milk the cows. Milking cows is a job that is very labor intensive. DeLaval has developed the first robotic milking system that can work in today’s modern milk barn. The system is completely automated using new technology to attach each milking unit to the cows. The system even cleans the cows prior to attaching the machine. While many of my dairy friends think that robots will never replace humans in the milk barn, I know that robotic technology will get fast enough. This technology is very new so it will still require continuous improvement before it will be economical enough to replace people in the milk barn, but it’s pretty cool to see this new technology actually working. Awesome, lets just have robots do the job since un-employment is the lowest ever. Even better, lets purchase the government made robot so they can track your every cow. Farmers are so smart!!!! Yes, you would think that in the U.S. we really wouldn’t have a need for this kind of technology with the high unemployment. However milking cows is a very labor intensive job. And many Americans think that they are above this kind of work. I guess thats the downfall of living in a wealthy society.. Its hard to find people who can get their hands dirty. When I was a kid spending a lot of time on my uncle’s dairy farm, they had the milking units even back then. That was way back when I walked uphill in the snow both ways to school. I’m talking about way back, so I imagine those milking units have been around for a long time. It’s hard to imagine the need to go even further and completely automate the process of using those milking units on cows. I’d have a few questions before jumping on board. Like what about the importance of human interaction with the animals? And is the machine safe? What if something goes wrong and the animal is injured and no human is around? Things of that nature. There’s nothing wrong with an honest day’s labor of using your hands. I’ve had some experience with that lately and I found it remarkably satisfying. I agree with you there. The time may come when the Americans who feel they are above certain jobs may come to regret they ever felt that way. You’ve got an interesting blog here and I’m glad I found you. I agree with you on your last point though. See I’m like you; I enjoy a good hard day of work. It makes you feel useful. But unfortunately, many people these days don’t have that strong work ethic.